Dry Cleaning is a process where clothes are washed by chemicals rather than water. The process was invented in France by Jean Baptiste Jolly in 1855, a dye-works owner, when he noticed that kerosene seem to clean fabric better than water. He went on to develop a system where solvents such as kerosene and gasoline were to be used to clean fabrics on an industrial basis and named the new system "Dry Cleaning". 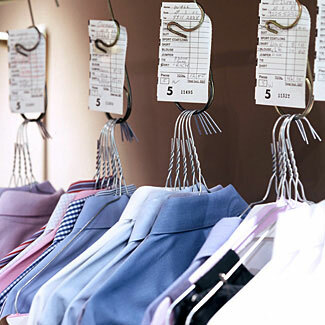 In the US, the dry cleaning business has existed since the 1930's and it has become a high demand service due to the rise of "dry clean only" garments and the convenience of the service. Most dry cleaning stores are owned by small business owners and many choose to be part of a franchise as a way to operate their business.